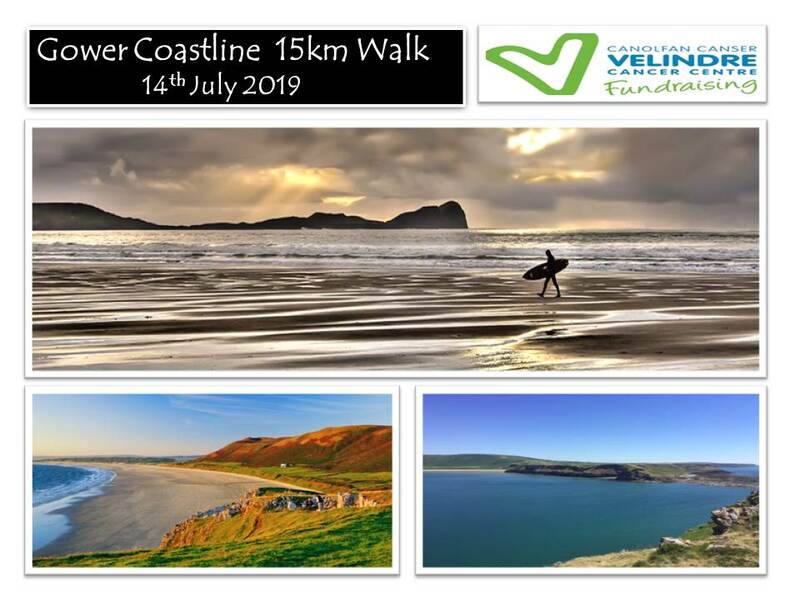 Why not join our wonderful Gower Coastal walk in Aid Of Velindre Cancer Centre. We will take a 15 KM walk along the beautiful coast of Worms Head National Trust. A minimum of £150;00 sponsorship will be required for adults and £50;00 for children. Starting from Worms Head National Trust Car Park, we will make our way through Rhosilli with the ascent up onto the stunning Rhosilli Downs. From here, we will then wind our way towards Llangennith, a lovely little Gower village before ascending Llanmadoc hill. The route will finish with a picturesque walk along the beach of Rhossilli Bay before making the final ascent back up to the Worms Head Car Park for refreshments. It will be an approximate distance of 15km of walking taking up to 5 hours (maybe more for some). There are only spaces for 150 participants so grab your places quick. Included in the costs and leading the way will be experienced guides/ marshals from JT Expeditions, trail way markings and signage, medical and first aid cover. We will also provide each participant with a shirt, snacks and a tea or coffee after the event. JT Expeditions will also ensure the walk is risk managed and ensure the safety of all participants. Parking will be available at Worms Head Car Park (Parking fee will apply). Once signed up, a map of the route and welcome e mail will be forwarded to you with a sponsor form and fundraising ideas etc; on registration, we will also be providing you with a goody bag of snacks, water and a number with a space to leave write a memory message to pin onto your clothing before the walk begins. Please ensure you are physically able to participate in this event. It is a long walk and can be arduous for those whom are not physically or medically able; any concerns please seek medical advice before taking part in this event. A medical form will be sent with your welcome e mail, this will need to be returned before the event. Please ensure you have sufficient walking shoes, clothing, drinks and snacks; waterproof clothing may also be required dependent on weather conditions. Dogs MUST be kept on a lead at all times and doggy bags available to dispose of any dog foul. JT Expeditions reserve the right to refuse the participant to take part in the said event if they feel they are not medically fit enough to complete the walk safely. They are also commited to leaving a positive carbon footprint as this is a National Trust site; participants should respect the area in which we walk. The date can be changed due to adverse weather conditions (this is beyond our control). Confidentially and data protection regarding personal information will be considered at all times. Personal information will only be shared with those directly involved in the management of this event and not kept for longer than required. traceycharity123@gmail.com or PM me on FB. Thanks so much for your interest in this event, all monies raised will go direct to Velindre Cancer Centre. More people than ever are living with cancer – survival rates have doubled in the last 40 years through better treatments and earlier detection.Velindre want to lead in the delivery and development of compassionate, individualised and effective cancer care to achieve outcomes comparable with the best in the world. Velindre aim to provide the best care, when people need them most. Thanks to JT Expeditions for their continuing suppport and running of the events and to the fundraising team for the support they give us.